Roxanne Veletzos was born in Bucharest, Romania and moved to California with her family as a young teen. Already fluent in English and French, she began writing short stories about growing up in her native Eastern Europe, at first as a cathartic experience as she transitioned to a new culture. Building on her love of the written language, she obtained a bachelor’s degree in journalism from California State University, Northridge and has worked as an editor, content writer, and marketing manager for a number of Fortune 500 companies. "Love in all its forms – parental, filial and romantic – renders each character's life through a prism of deeply felt humanity in The Girl They Left Behind as unforgettable men and women face devastating choices during WWII and its aftermath. The political is personal, and Roxanne Veletzos shows us how lives shatter when ideology devolves into chaos and brutality behind the Iron Curtain. This is an important book for these times." "There are stories that must be told because in doing so, they shed light on the irreparable consequences of war in the lives of so many innocents. 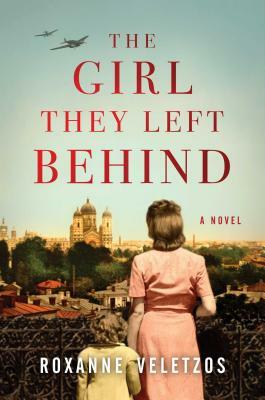 The Girl They Left Behind, written with flawless historical detail, is a page-turner. In its first pages, it narrates the desperation of a young couple as they leave their four-year-old daughter on the steps of a building. The tale of that girl's destiny, like those of thousands of others, are a necessary testimony for humanity." "Never flinching from the bleak, this sweeping historical romance pieces together hope from the ruins." "Written in the gripping style of Thomas Keneally's Schindler's List and Markus Zusak's The Book Thief, Veletzos's powerful, heartbreaking story, and fluid writing style will transport readers." "Veletzos expertly weaves historical detail into a rich story about the endurance of the human spirit in the face of adversity." "[The Girl They Left Behind], which Veletzos based on her mother's life, is worth reading for its Romanian setting, and questions regarding Natalia's real parents and whether she will ever be reunited with them add an element of suspense."